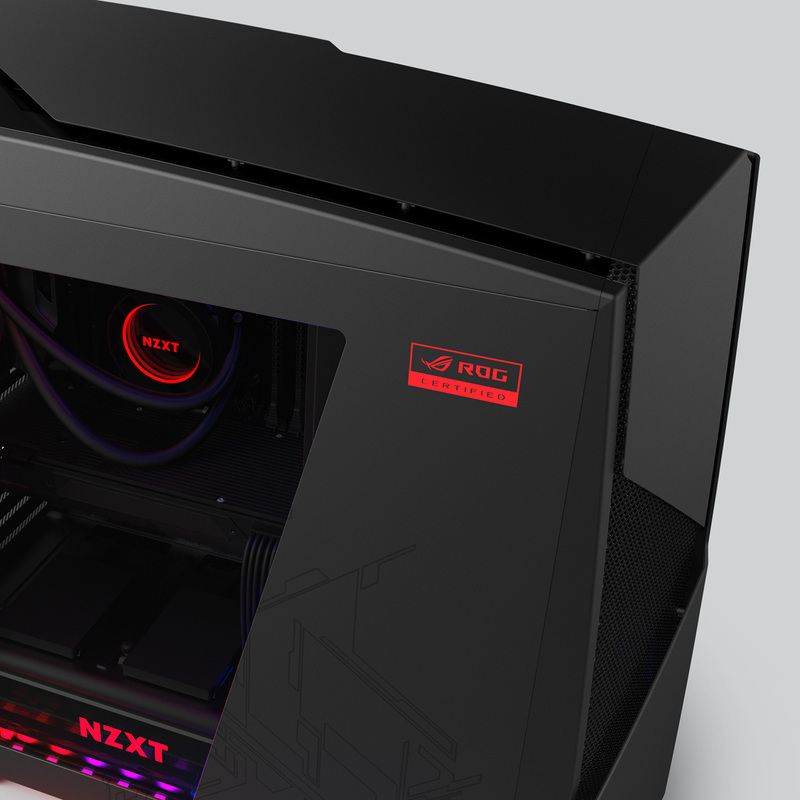 NZXT have made their name with a series of bold, sculpted PC cases that go way beyond the standard ‘black metal cuboid’ design. We loved their Phantom and Manta cases when we’ve had them in for reviews, and their latest creation looks exciting too. 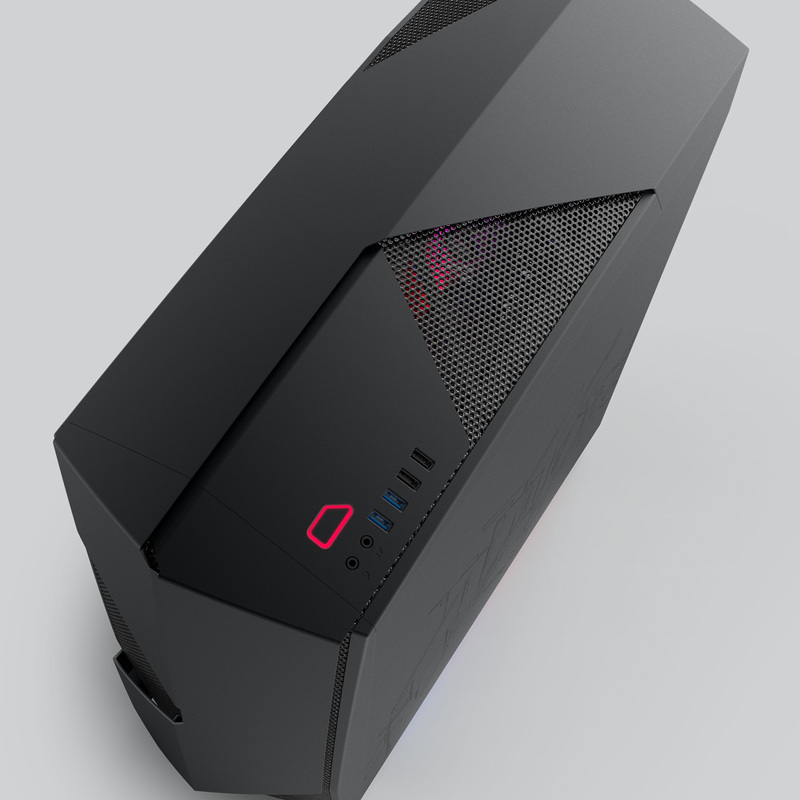 It’s the Noctis 450 Special Edition ROG, a custom variant of the Noctis case that was launched last year. The Special Edition comes in a unique Gun Gray colour scheme, and supports Aura Sync RGB lighting. Let’s take a closer look. The Noctis 450 Special Edition sports the same sharp shape as the original Noctis 450, but comes in a gunmetal gray colour instead of white or black. The PSU shroud LED colour has changed from white to blood red, and there’s a cool diagrammatic drawing inscribed on the side panel. 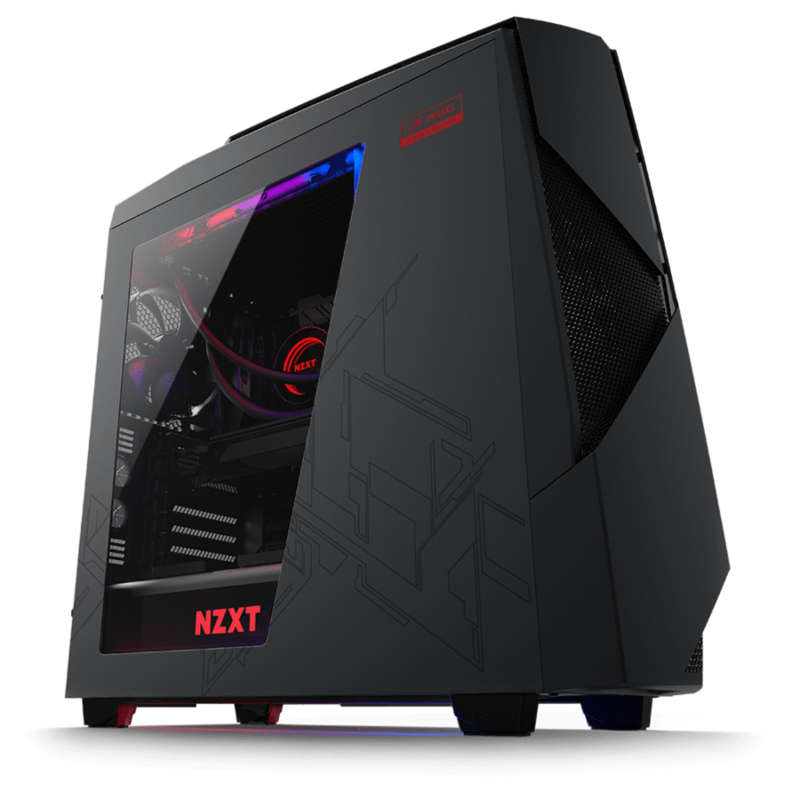 The Noctis is a strong choice when it comes to cooling, with a fully-filtered front panel, four built-in fans and mounting points for radiators up to 360mm long on the front and top. 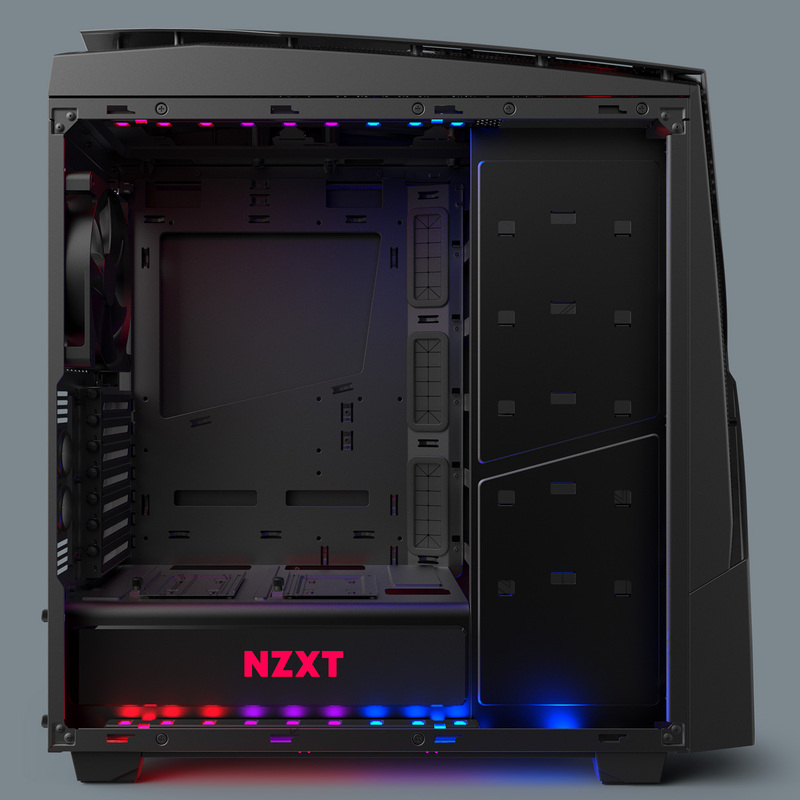 Of course, NZXT’s own Kraken coolers are well supported. One of the standout features of the case is AuraSync. This Asus initiative is designed to let you synchronise the RGB lighting on components throughout your PC, including the case, fans, graphics cards, keyboards and mice. That sounds great; right now I need to use three different programs to control LEDs on my motherboard, case lighting and graphics card, and it’s impossible to synchronise them. The case comes with two internal LED strips, the PSU shroud’s LED, underglow lighting and the power button LED. There’s also an adapter for non-Aura-certified motherboards, which turns all internal and external LEDs red (the most common colour for gaming products, it must be said). Aura Sync is also supported on other cases, RGB strips, cooling, RAM and SSDs from G.Skill, Geil, Zadak 511 and more; you can find the full details on the Aura Sync website. 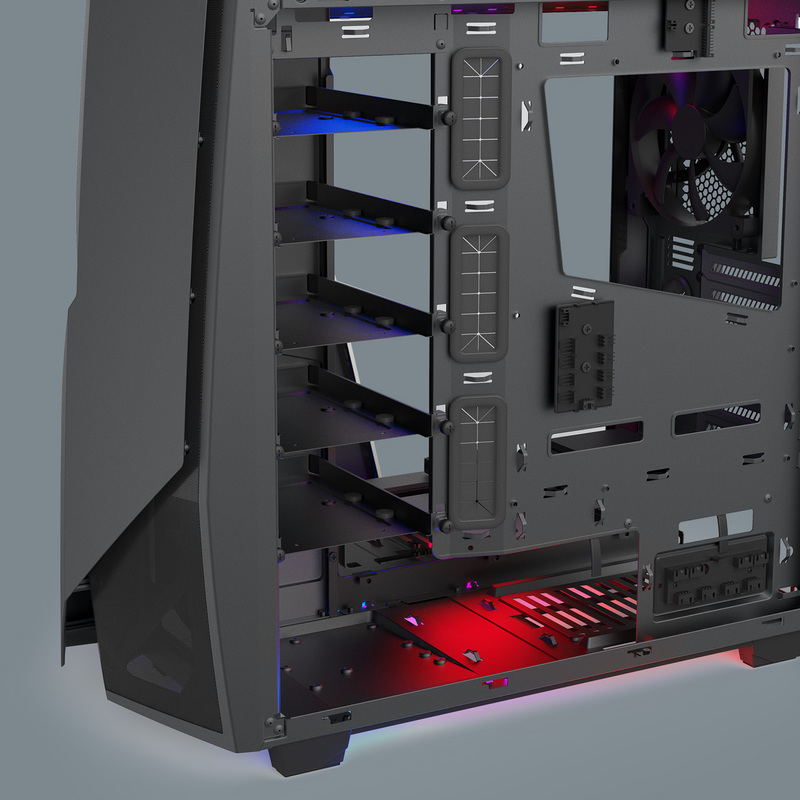 The case will arrive in early February in North America, and mid February in Europe, with an RRP of $180 / €180 / £180 — about £60 higher than the standard edition Noctis 450 case. 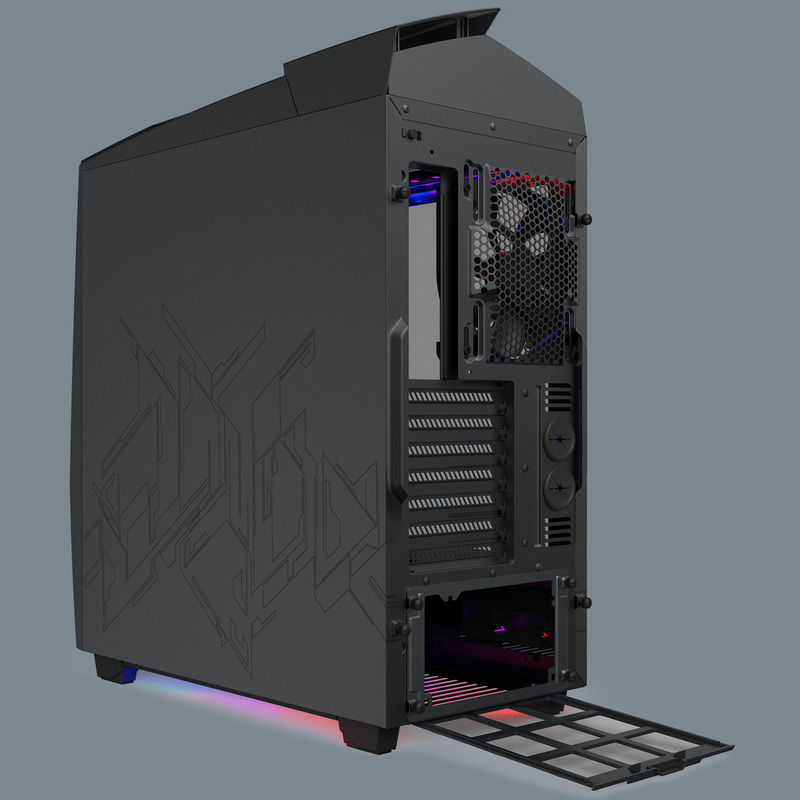 If you’re on the lookout for a stylish case that offers liquid cooling compatibility, integrated RGB lighting and tons of extra features, the Noctis 450 Special Edition Republic of Gamers might be a good choice — particularly if you’re going for an ASUS ROG motherboard and other components. Be sure to let us know your thoughts below, and we’re looking forward to having the Special Edition Noctis 450 in to give a full review!